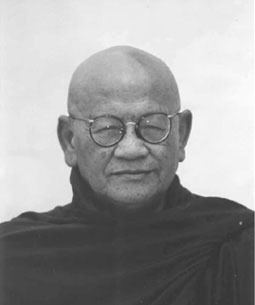 1921: born in Myingyan, Central Myanmar in 1921. 1936: became a novice at the Chan Tha Gyi Monastery in Mandalay. 1943: became a full-fledged monk in the higher ordination (upasampada). 1939: passed the Government Intermediate examinations. 1941: sat for the Advanced Pali Text examination. 1949: went to Calcutta, India and studied Sanskrit. 1955: passed General Certificate of Education (GCE) administered by University of London. Anunakaya Sayadaw at the Japan Dhammaduta Missionary Branch of the Buddha Sasana Council.